Today would have been my mother-in-law’s birthday. 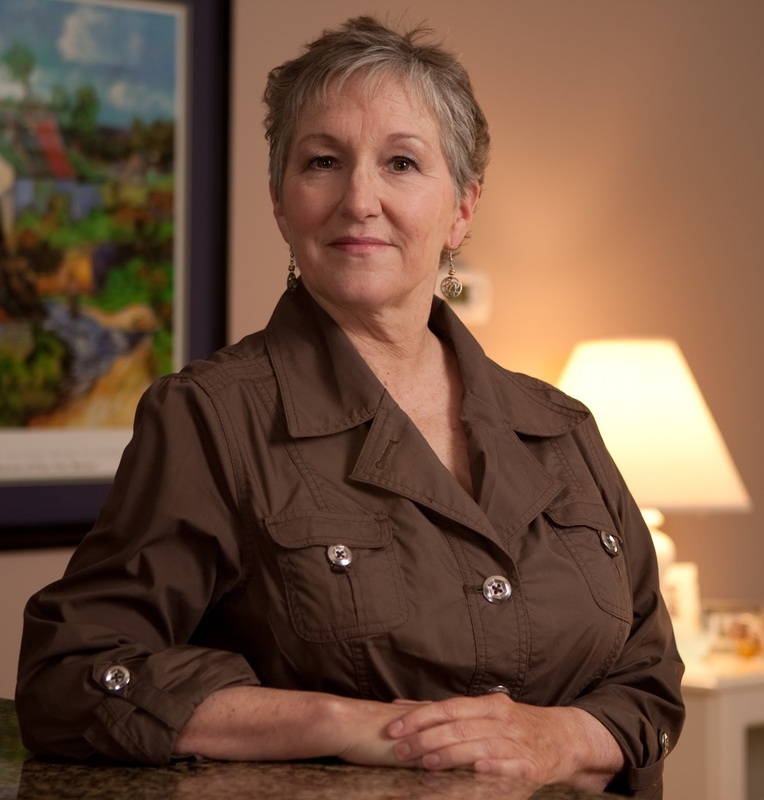 A dozen years ago, Nona entered hospice with Stage 4 ovarian cancer. During the long days and nights that followed, she and I talked, often about her children and grandchildren and her hopes and fears for their futures. She was fiercely devoted to her family and took great delight in their delight. When I joined the family, it took me a few years to realize that, to her, a Christmas list was not a wish list; it was a shopping list. She loved to give her children and grandchildren everything they wanted. Seriously. Everything. Which is how, in June, I found myself and my intense fear of flying on a 14-hour flight from Los Angeles to Brisbane. The promise was never far from my thoughts over the years, but 2016 saw a confluence of events that made the trip make sense: Our son graduated from high school and, a few weeks later, we celebrated our 25th wedding anniversary. If ever there were a year to take a big trip, this was it. 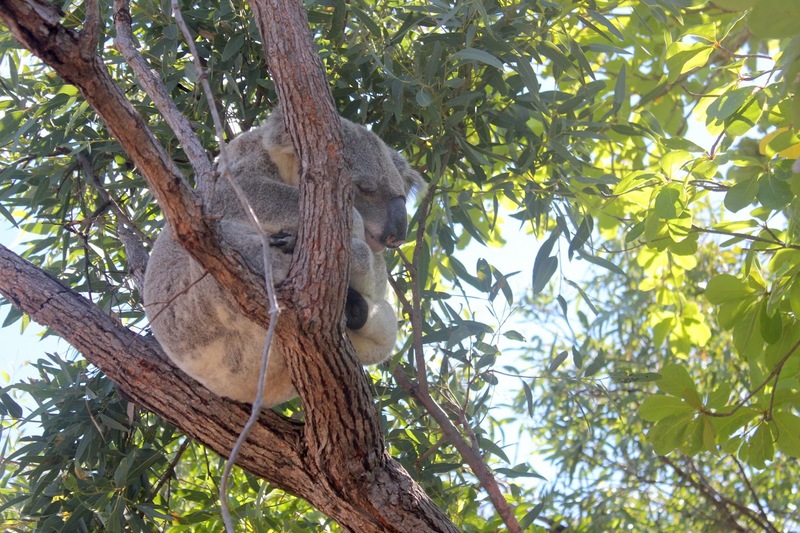 And when we asked the boyo where he wanted to go, he chose Australia without hesitation. The trip was everything we hoped for and more. 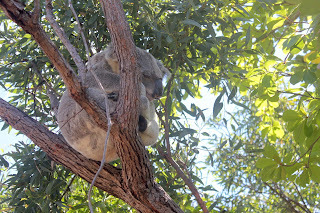 We saw kangaroos, wallabies, a koala so close to the trail we could have touched it, crocodiles, emus, a dingo, numerous tropical birds, tree frogs, and a few species of snakes (though not as many as my husband, a biology teacher with a passion for reptiles, would have liked). John added 154 bird species to his life list. We marveled at the giant pines and stinging trees in the Bunya Mountains; hiked the Art Gallery trail in Carnarvon Gorge to see the amazing Aboriginal stencil art on the gorge’s sandstone cliffs; drove 40 kilometers off our intended path to visit a place marked on the map as White Blow, which turned out to be a huge chunk of quartz sitting atop a hill (not, as we had speculated, some kind of drug thing); stayed with generous friends of friends on a 140,000-acre cattle station, where I had the privilege of giving a bottle to an orphaned joey in the temporary care of station owners Karen and Angus Emmott. 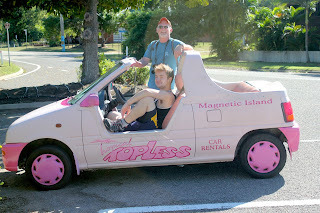 We snorkeled the Great Barrier Reef, drove a rented Barbie car around Magnetic Island, ate dinner at Sydney’s Opera House, cruised the Daintree River, and drove to the end of the road at Cape Tribulation (the end of our road— only four-wheel drive beyond the point at which we turned around). In all, we covered more than 4,000 kilometers in our rental SUV (a real car, not the Barbie car) and met and talked with dozens of interesting people during our three weeks in Australia. Every night while we were there, I sat down and wrote about the day’s events. Preparing for this post, I re-read some of my entries, and I caught myself thinking, “Nona will be delighted when she hears about this.” She would have reveled in every story and every photo, and I’ve never been happier to keep a promise. It was a dark and stormy night. Ever since I heard those words as a child I fell in love with mysteries; I love them. I also happen to have a crazy, run-away imagination, so what better use for it than to kill on paper. It sounds demented, but the truth is cozy mysteries are one of the biggest selling genres out there, so I’m in good company. Be careful what you wish for. Remember that saying? It’s true. 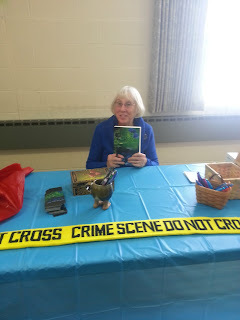 I always wanted to be a writer, and a few years ago I achieved that dream with the publication of my first cozy mystery, Armed. But like the saying implies, things don’t always turn out the way you plan them in your head because being a writer these days, especially an indie writer, seems to be more about the selling of your books rather than the writing of them. My writing career started in Europe. I made the trip across the Atlantic for a one-week tour of London. That trip turned into a 12-year odyssey that took me to Belgium. It was there, while living with my partner, André, that I finally took the plunge and started writing a mystery. It all began on, you guessed it, a dark and stormy night, sitting in a café discussing various murder scenarios, as one does, over some Belgian beer. 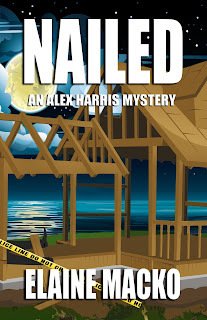 I hashed out an outline on several paper napkins and created characters, which have turned into the Alex Harris Mysteries, the latest being Nailed. But getting published didn’t happen overnight. I’ve received my share of reject letters. Luckily, I am nothing if not persistent. Fine tuning my manuscripts eventually paid off, but after a year with a small publishing firm, we parted company. I wanted more control over my cover designs, the price I could charge for my books, and editorial content. I had heard about indie publishing and toyed with the idea but knew it could be the kiss of death for writers. And then Amazon got into the game and the rules changed. Everyone was jumping in, writing away and uploading their books with reckless abandon. The first thing an indie author discovers is that publishing, or more specifically, marketing, books isn’t cheap. The Internet is awash with dot coms willing to help you get your books out there for the masses, but it comes at a cost with no guarantee of results. Most writers are content to just write but, without the backing of a big publishing house, the marketing falls on the writers’ shoulders. And there are a lot of components to marketing. First, you have to have a professional picture taken for the back of the book. People like to see what authors look like. This was one of the hardest parts for me. I used to be photogenic—and young. You get the picture. Once you’ve found a great cover designer—because yes, people do judge a book by its cover—and have that model quality photo of yourself—or as near as you’re going to get because you were only willing to pay bargain-basement prices for a photographer—the real work begins. I’ve had to become a shameless promotor on Facebook and Twitter. I’m not good at self-promotion, but I’ve had to overcome my fears and promote my books wherever someone will let me, and this includes sitting in a dress shop amongst the racks of clothing, grabbing unsuspecting shoppers as they head to the dressing room—preferably with one of my books. I’ve driven around in my car with a sign announcing to one and all that if it’s murder you’re looking for, a good place to go is my website. And I leave bookmarks on tables at restaurants, restrooms, and wherever else I can discreetly stick one. My books get great reviews. 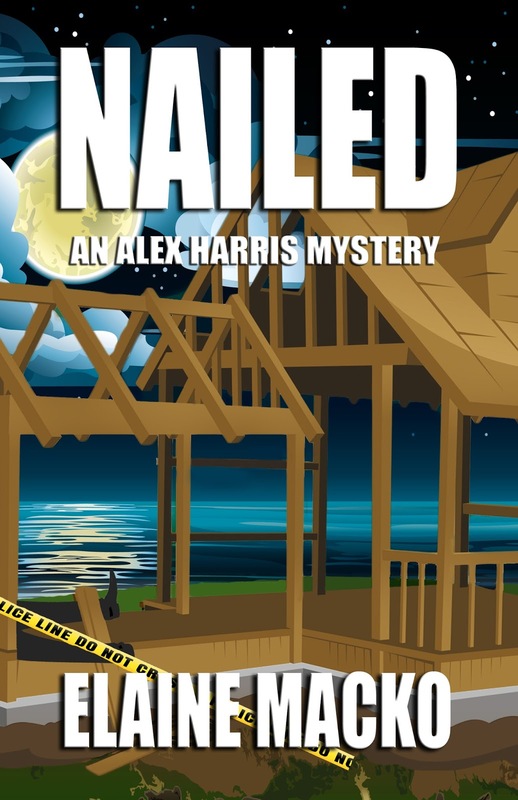 Yes, I get the occasional bad one like all writers, but my cozy mystery series has been described as a cross between Janet Evanovich and Mary Higgins Clark. High praise indeed, and I’ll take it, but still, where are all the sales? Putting out a decent book doesn’t guarantee big royalty checks at the end of the month. People need to know that you have a good series before they can buy it, and therein lies the rub—letting them know that there’s a new kid in town and her books are good! But I haven’t given up. I write because the stories come to me and I can’t keep them inside, and because my fans continually ask when the next one will be out. I can’t divine if any of my books will be bestsellers. You hear about people who write a book and almost overnight get an agent and have publishers fighting over the manuscript while Hollywood starts looking for the perfect starlet to play the protagonist. That didn’t happen to me. I’m not one of those people who is in the right place at the right time. But if I had given up all those years ago in Belgium with the arrival of my first reject letter from an agent, I would never have been published and my dream of being an author would have gone unfulfilled. Author Elaine Macko is a transplanted New Englander living in California. From a very young age, she possessed an over-active imagination finding intrigue and mayhem in everyday situations, often with hilarious results. In the 1980s bored with life in general, Elaine signed up for a six-day vacation to London and Brussels and fell in love with a local Belgian man, extending her trip to twelve years. 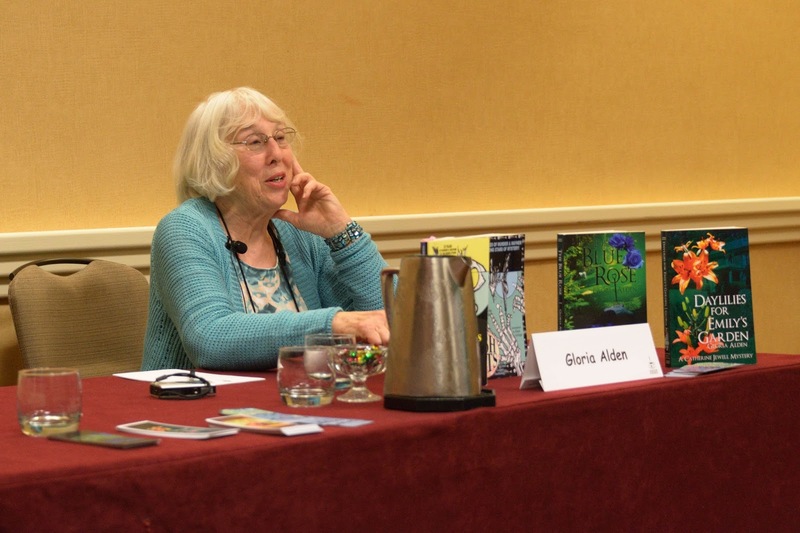 Elaine wrote her first book, Armed, in 1996, and penned seven more books in the series. 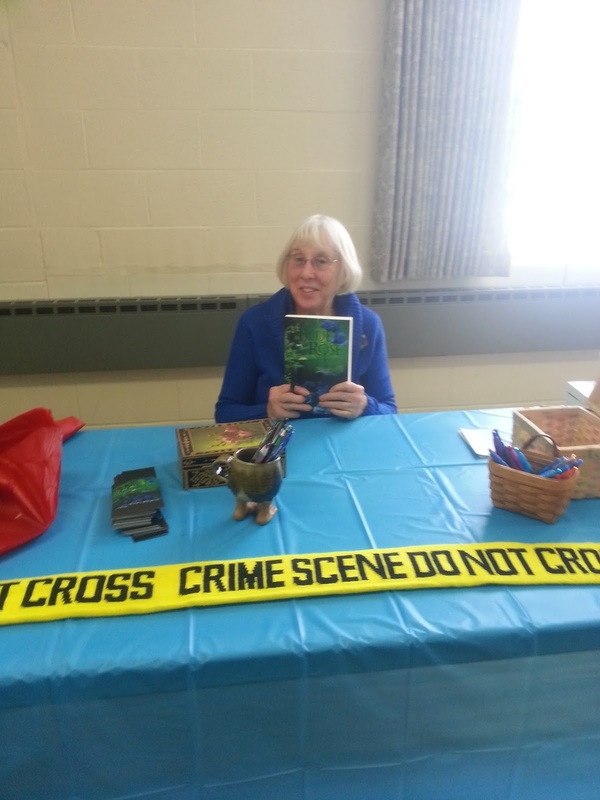 Never forgetting her New England roots, her books are set in the fictional town of Indian Cove, Connecticut, the perfect setting for murder. An active member of Sisters in Crime, Elaine takes comfort in knowing that there are many others like her, inventing ways to kill on paper. Her books can be found on Amazon. Surfeit of Lampreys was published in 1941. 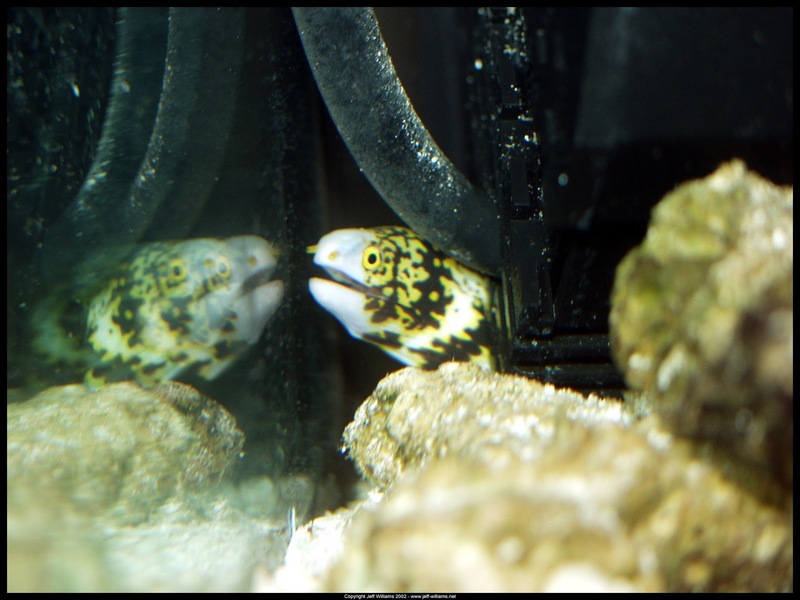 It starts like a comedy describing the eccentric Lamprey family as seen by a friend of the family, Roberta Grey. The family had a history of coming to the brink of economic ruin, trying ineffectually to stave off bankruptcy, and in the end being saved by happenstance. Grey was introduced to the family when during one money crisis Patricia (Patch) Lamprey was enrolled in a New Zealand boarding school rather than sent to England for her education as the other children had been. 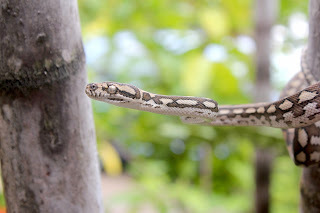 An invitation to spend a holiday with the Lampreys when she was fourteen was the start of Grey’s involvement with the family. She quickly became a fascinated and enthusiastic fan of everyone and everything Lamprey. They had charm by the bucket and common sense by the thimble. After Grey’s parents were killed in an automobile accident, Grey, then twenty years old, came to England to live with an aunt. When the aunt became ill, Grey was again invited to stay with the Lamprey family. As frequently happened, the family was once again in debt and out of money. They hatched a plan for the head of the family, Charles, to ask his miserly older brother Gabriel, who was a Marquis, for a hefty loan. The mystery begins when Gabriel is found murdered in a particularly nasty manner on the Lamprey property. Chief Detective –Inspector Alleyn is called in to solve the crime. Ill-conceived efforts by the Lamprey family to protect one another hamper the investigation and lies pile up faster than clues. I thoroughly enjoyed the novel. If such a family did exist, I would be an ardent fan. I would also be an admirer of the detective. Marsh shows why she was considered one of the Queens of Crime with her deft writing, use of red herrings and absolutely fair play with the mystery. Interestingly there was a family named Lamprey among the gentry at the time the book was written. They corresponded with the author. She apologized for using their name. I recommend this novel very highly. Reception for my first book. I write because I enjoy telling a story. I told my brother stories when I was a child. When I became a teenager, I started writing short stories and poems. I enjoyed writing papers in college, and now in my later years I’m a published writer – yes, self-published except for stories in one magazine and in anthologies. Maybe it’s because I’m not traditionally published, although I’m not sorry I went that route at all. Even though there are an incredible number of self-published authors now, there’s still a stigma with being indie published. Although much of my enjoyment comes from the writing of stories, poetry and books, it’s even better when my writing is enjoyed by others. Gradually, I’m finding I have a fan base. This may be hard to believe by other writers, but except for a few weeks after my first book was up on Amazon, I have never read the reviews there for any of my books. Probably it’s because I dread reading any negative ones. My Red Read Robin Book Club with only a few showing here. It’s not that people haven’t told me they enjoyed my books, at least some people I know. Several women in one of my book clubs buy each new book when it comes out and tell me how much they enjoyed it. I also have several fans that look forward to buying each of my books from The Village Book Store in Garrettsville, Ohio. They check in with the owner often to see if my latest is out yet. And a sister and brother-in-law in Washington State always email me when they finish the latest book and compliment me. My brother-in-law sent an email to thank me for my latest book, “We got your new book yesterday. Started reading it and couldn’t put it down until I finished it. I think it is the best one yet! Can’t wait until the next one.” My sister also liked it. Probably because of the self-publishing stigma, I never felt my books were outstanding. Maybe it was because when our SinC chapter has a yearly event, only the traditionally published authors are on the panels. Even though I was getting checks from Amazon for print books and another one for e-books at least three times a year or more. However, I have been on a panel at Malice and also was a moderator for a panel there. 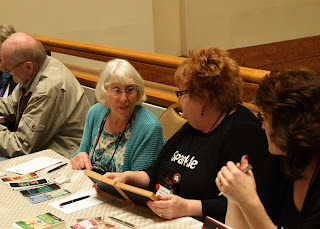 I’ve been in the Malice-go-round two years, and in Author’s Alley, so even though I’m not eligible for an Agatha, I’m still recognized as an author. And then in February, as I was delivering a pie for my church’s annual Lenten fish dinners, a young man spied me coming down the hall. He threw up his hands and shouted out, “Here comes my favorite author” so loud everyone around started laughing. We first got acquainted through the poetry I submitted to the Family News Letter he publishes for the church. He’s also a professor at a local college. He’d told me then he loved my books, but not quite as loudly as that evening when he said he loved, loved, loved my books and has his mother hooked on them, too. Since I’m not one to promote myself as anyone special (even writing this blog goes against my grain), it’s always surprising and pleasing to get compliments on my books. Recently I’ve had a woman from my church call and ask me for my latest book. I took it to her after I finished delivering Mobile Meals. Later she contacted me and said she was disappointed because she’d planned to have something to read all week, but got so hooked on it she couldn’t put it down so it didn’t last two whole days. Then there are the letters from several children who wrote me after reading my middle-grade book The Sherlock Holmes Detective Club. “Dear Mrs. Alden, So far I read your book. My favorite student is Andrew. I like his funny jokes. My favorite character from this book is Mrs. Alden. She is a great teacher letting the children write letters to Mrs. Van Brocken. I have dark brown hair and brown eyes. When I grow up I want to be a 3rd grade teacher.” There is more of this letter, too, including an acrostics poem, and he even e-mailed me from my webpage. I also received two other letters from the granddaughters of one of my church members who bought that book for them for Christmas. There have been others, too. When I voted this spring, there wasn’t anyone voting at the time so I visited with the four women who were working for the election. I mentioned I’m a writer and what kind of books I write, and one woman wanted my first two books. So I sold her them out of my car. A month later she called me and wanted to know if she could buy my last four books because she enjoyed the first two so much. This was before my latest one came out. In May I was contacted by Pat Rullo, who wanted to interview me on her talk radio show. We set up a time and date in June. She called and talked with me that day before starting to interview me. She told me to stay on the line after the interview because she wanted to talk longer with me about things other than my writing. The thing that surprised me was when I listened to it on the site later, it didn’t sound like me at all although friends and family said it did. For my donation to a charitable program for veterans she supports, it will be up on that site as well as others for 52 weeks. 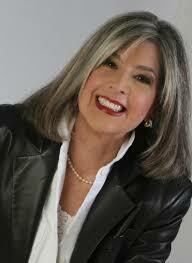 To listen to my interview go to http://www.speakuptalkradio.com/gloria-alden/. After the interview we talked for almost a half hour. She wants to meet me in person since she lives less than an hour away, and she wants to read more of my books. Last week I went to a retired teacher’s luncheon with teachers from the district I taught in. It was the first one I attended because they didn’t have my email address until lately. When I got there, I only knew two of them well, one I was slightly familiar with and the others I didn’t know at all. However one of those I didn’t know recognized my name and started a conversation about my books. Eileen, the one who arranges the luncheons, buys my books and then passes them around to other teachers so I found out I had a fan base I didn’t know about except for Eileen. A woman named Mary Lou followed me to my car and bought my first book. When she finished it she emailed me saying she liked it and would like to come visit me. A woman named Susan contacted me through my website and wrote: “Have read both Carnations for Cornelia, and Blood Red Poinsettias – new additions at WTCP Library and thoroughly enjoyed both. I like that you delve into the characters background and lives more fully than most mystery authors. Now I have to find the other books in the series and play catch-up. Thank you for a most interesting series.” Susan and I started an email conversation and since she lives locally, she came to visit me bringing sweet treats, and we spent a lovely afternoon together. She wanted to join a book club so I lent her the book I’d finished for my next book club and yesterday she joined us. When I introduced her and said how we met, two people who didn’t know my latest book was out wanted it, a member who rarely comes decided she wanted to read my first two, and bought those, and another member told me someone she knows in a nearby town has read my book, loved it and has been passing it around in her book club to read. She bought one of my other books to give to that woman. So I sold five books that day without any intention of doing so. Am I making a lot of money? Well after buying them from Create Space, paying for shipping, I get a little over $4.00 a book which probably averages out to not earning more than ten cents an hour of my time writing, editing and publishing my books not to mention printer ink because I back up all my writing with hard copy. My father always said he wouldn’t praise his kids, but would be pleased if others did. Maybe that’s the reason that even though I enjoy the positive comments I receive, I’m still a little uncomfortable with it. One year I won Portage County’s Elementary School Teacher of the Year Award which included a banquet. I was so uncomfortable because the principal put up a huge banner congratulating me. Was I a good teacher? Yes. Did I want all that attention? Not really because we had a lot of good teachers in our small school. So yes, even though I enjoy hearing words of praise, I’m still a little uncomfortable with it. Are you ever uncomfortable with praise of your writing? 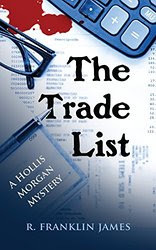 R. Franklin James writes the Hollis Morgan Mystery series published by Camel Press. The Fallen Angels Book Club, the first book, presented the unusual premise of this series, which I will let Rae explain. That premise and main character, Hollis Morgan, kept me reading. The Trade List, the fourth book, released in May, shows how technology can either help exonerate or implicate individuals regardless of their innocence or guilt. Like identity theft, it’s a scary notion. Please explain the premise of your series to our readers. 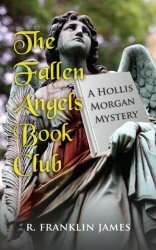 Although I wasn’t conscious of a theme when I first started, I realized by the time I finished the first book in the series (The Fallen Angels Book Club), that Hollis’s story is one of redemption. My premise is that we each have to first forgive ourselves for our real and imagined transgressions before we see ourselves as others see us. 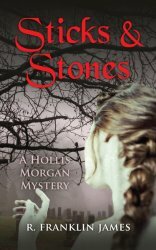 The Hollis Morgan Mystery Series is about second chances and social labels, and how life has a way of holding up its mirror for us to see. Who was Hollis before she went to prison and how did she earn her living? Hollis was a law student in San Francisco and her insurance broker husband supported them. Unfortunately, she didn’t know their income came from his fraudulent insurance claims. How was Hollis able to join the California Bar when she was a convicted felon? In California, there is a law called the Safety and Rehabilitation Act which allows ex-felons of non-violent crimes to apply, under certain conditions, for a judicial pardon. If awarded a pardon, the individual no longer must check the box that they were a felon and they are eligible to take the California Bar. When Hollis’s manager, George Ravel inherits his birth mother’s estate, her husband’s family contests her will. You present Hollis at work as a probate attorney, but you aren’t an attorney. What research did you do to get the details right? Is a probate attorney different than a wills/estate attorney? Actually, I was employed as a paralegal specializing in probate and intellectual property law. Writing about Hollis, I was able to directly draw from my work experience at a law firm very much like Dodson, Dodson and Doyle. I was very pleased to get an email from a probate judge in Los Angeles who said that my setting was so realistic she thought I must have visited her courtroom. Probate Law encompasses wills, trusts, and estate settlements. With the proper technology, law enforcement officials (and hackers) can trace a call from the location of the caller to the location of the person contacted. The “triangle” is: the location of the tracer, the caller and the person called. Thanks to a chip in our smartphones, it is fairly straightforward to locate a criminal, or a victim, who has a cell phone in their possession. When a woman is found dead with Hollis’s business card among her possessions, Hollis becomes a “person of interest” to police detective Silva, the main investigator. But Hollis’s friend, Stephanie, complicates matters. She isn’t very sensitive to Hollis’s needs, is she? Stephanie and Hollis are friends for a reason. Neither would take advantage of their friendship—except when they have to. Stephanie isn’t afraid to tell Hollis she’s out of line when the situation warrants, and Hollis pulls no punches when Stephanie asks for her advice. Because of her ex, Hollis has trust issues. But she confides in her current beau, John, while he doesn’t give up much information under the guise of his Homeland Security job. I found that a bit unfair, like a one-way street. Even further, when John finds out Hollis didn’t tell him all, he gets mad at her. “Don’t start keeping things from me, Hollis. When you do it starts piling up as garbage that separates us.” Doesn’t that apply to him as well? Like attracts like: John’s social “walls” aren’t made from the same experiences as Hollis’s—but he has trust issues too. His issues are less from misplaced trust and more from an introverted personality with a wariness of people he doesn’t know. He was adopted and an only child. While he maintains strict secrecy about his job, he understands what it will take to bring Hollis out of her shell. He sees past her “walls” and knows what it means for her to slowly drop her guard. He doesn’t want her to slip behind those walls again. You show readers a lot about Hollis through Vince Colton. How does Hollis treat Vince? Hollis is immediately attracted to Vince’s plight. He is the vulnerable “shadow” that reflects her own needs. Her emotional wounds are echoed by Vince, and eventually his healing leads to her healing. He is like the younger brother who needs help to regain his footing, and she sees in him the man he is meant to be. Your secondary characters are memorable. My favorite little-old-lady Phyllis Mason turns into a dynamo. She had me fooled (and I think Hollis, too.) What was her role in your story and how did she tie the estate case and the murder case together? Phyllis Mason was a highly successful district attorney before she retired. However, as she aged she gave into the stereotype of a fearful little old lady. Helping Hollis forces her to see that she still has the skills and savvy to make a vital contribution to solving a case. How is the Trade List a double-edged sword? The actual Trade List is a compilation of coded names of interstate criminals and their protection. It is a list Olivia Shur wants to trade for her immunity. However, there are others who see the list’s extortion potential. The possibility of the sword to swing one way for blackmail and another for immunity depends upon who is wielding it. Hollis uncovers the connection at her own peril. “It was a typical Bay Area summer day, gray with late afternoon fog hovering over the Golden Gate Bridge and the San Francisco skyline. It was Hollis’s favorite weather.” You’re kidding, right? Mark Twain once said that the coldest winter he ever spent was a summer in San Francisco. Bay Area natives tend to favor the upside down seasons, and Hollis is contrary enough to make it her favorite. Why does Hollis use tuna sandwiches as a restaurant’s “litmus” test? Many people judge a restaurant or diner by the quality of their hamburgers or sometimes their desserts. If you can get a good burger, (others might choose a Crème Brulee), you’ve got a good place to eat. Hollis’s criterion runs to the tuna sandwich. Have you plotted your series? Yes. I’m a plotter at heart. First I created the story line for the first three books in the series. 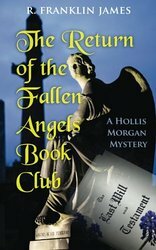 By the time I started writing the third book (The Return of the Fallen Angels Book Club), I knew Hollis’s story was not over. I generated the plot lines for another three books. I made a chapter outline of each book taking off from the one before it. Needless to say characters and plots don’t always follow an outline, but I find that it helps me avoid writer’s block. How did you get your contract with Camel Press? I have an agent who made the sale. Through her, I pitched a three-book series. Camel Press liked the concepts, and offered an option for a fourth book if I wrote the same protagonist. Books five and six are in various stages of production. Book five: The Bell Tolls will be released in May 2017. Hollis has evolved as a character. She’s a force who’s not afraid to step up and take action for what she feels is right. However, her most cherished life support is shaken to the core and she has to make a decision about which road to take. 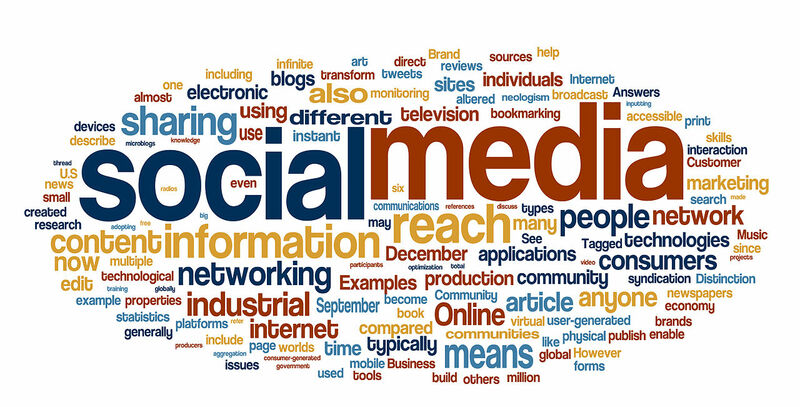 For my daughter's generation, the words "social" and "media" have always been linked. For me, a forty-something woman looking fifty-something right in the eyes, learning to work the virtual network revolution has been like riding a particularly quixotic tornado. I'm grateful for it, though. It helps me keep up with the daily lives of far-flung family and friends. It allows me to connect with readers both right next door and across the continent. It exposes me to perspectives and stories that I otherwise would have missed and gives me a broader, much more nuanced view of the world. But woo-boy, can it get rough out there sometimes. I have connections across the political and socioeconomic spectrum, from ultra-conservative Tea Partiers to way-liberal Green Partiers, and when they meet in conversation on my Facebook page, sparks can fly. In order to keep the discussion productive, I subscribe to the "front porch" philosophy of social discourse. It goes something like this. My home page is like the front porch of my brick and mortar home. 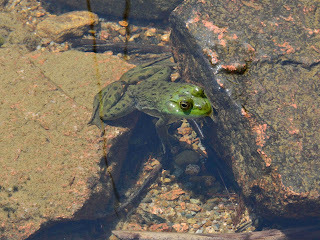 It's my property, for sure – any guests are here with my permission – but it's only quasi-private. People wandering by on the street could hear our conversations, and if they know me or one of my guests, might decide to come across the lawn and join in. Which they are welcome to do, but the porch is my property, and as such, I reserve the right to decide the topics of conversation and the tone of the conversation. If people don't like my choices…well, they have their own porches. It's a way of looking at social media interactions that works for me and that I carry with me whenever I visit other people's virtual porches. 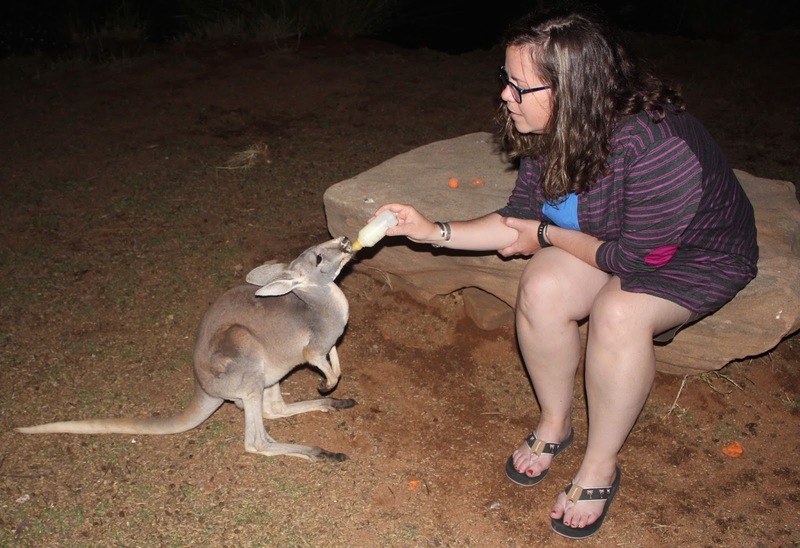 Here are some other best practices I've gleaned from my travels across the World Wide Web. 1. Feel free to disagree, but be careful how you do it. If you wouldn't say something to a person's face, don't say it on their page. 2. On your own page, you get the last word. On other people's pages, they get the last word (thanks to friend and smart guy Chris Booker for this one). 3. Agreement is easy – dissent is hard. Feel free to agree with anyone just about anywhere. Be more careful how you disagree. As a rule, if you are engaged in a discussion on someone else's page, don't argue with anyone outside of your friend/follower network – let the owner of said page deal with their overly aggressive relatives and clueless co-workers. 4. If someone steps out of line, you can ask them to cease and desist. If the violations continue, delete the offensive comments and if necessary, the offending commenter. But the latter is a step of last resort. 5. If you accidentally violate someone's porch rules, apologize and stop. Just stop. Maybe you didn't mean to be insulting. Maybe you were trying to be humorous. No matter. No justifying. Just stop. 6. Use your own words whenever possible. Emoticons can be helpful to establish tone, but they can't carry meaning very well. Also, to paraphrase Inigo Montoya, that little squiggle may not mean what you think it means. Use caution. 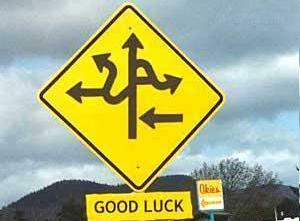 So far, these guidelines have proven helpful as I've navigated my way around the internet landscape. 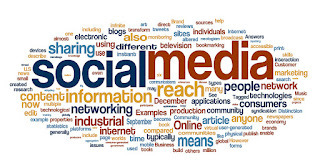 Share your own tips for navigating social media in the comments. Perhaps I'll see you visiting on someone's virtual front porch, and we can share some virtual lemonade and chat a spell. Politely and with great mutual respect, of course. I had no idea what a huge project I was undertaking when I began. As I delved into this story and the characters and built their world, constantly being interrupted by surgeries or cancer treatments or medical appointments and all the freelance work and teaching I took on to finance all those expensive medical treatments—there's a reason so many cancer patients end up with poor credit ratings or even bankruptcies; it's a damned expensive disease—the scope of the book and its world kept growing. 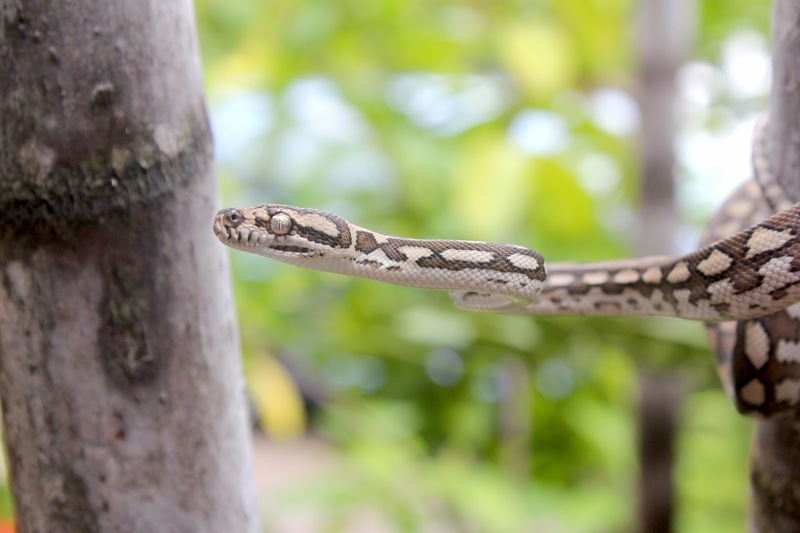 I alternated between excitement and despair—“I think I'm writing a really good book, but it's probably going to be unpublishable.” My completely supportive husband and agent kept me going. “Just finish the book,” they both told me innumerable times. Finally, I came to the end, but I wasn't happy with the ending. I felt as if I'd rushed it because the book was already so long. I set it aside while doing a couple of major cash projects and then began revisions. That was a long process because this was a long, complex novel. By the end of the revisions, I was very happy with the book, except I knew I needed to completely rewrite the climax and ending, adding probably two chapters. My agent said, “Just finish the book.” I had to turn to a very busy time of freelance manuscript contest judging, developmental editing, and teaching. Finally, I've finished those commitments, and tomorrow I begin those final chapters. I'm also starting to wonder how to convince my mystery fans to follow me into a world of gods walking the earth with humans in modern America and jumping with some of those humans back to the American frontier at the beginning of the 19th century as part of a campaign to save the planet from destruction. I know many of my mystery fans are adventurous readers, though, because after liking my mystery novels, a number have gone on to read my books of poetry, so I hope their literary adventurousness will lead them to try what I call a contemporary fantasy—in the fashion of Alice Hoffman, Neil Gaiman, Charles de Lint, and Deborah Harkness. I can promise them the same attention to character, motivation, setting, complex narrative, and language that they enjoyed in my other books. Whether that will be enough, I won't know until later. Still, I'm excited to finish this book, Gathering Gods, and send it off to my agent. By coincidence, it's good timing since the Starz series of Gaiman's American Gods (a wonderful book that shares the basic concept of my book and almost nothing else, not even the same gods, since most of mine are Indigenous) is set to premier in 2017. But whatever else happens with the book, it certainly got me through the toughest period of my life, so it will probably always be one of my favorites. Hearing those two words, “summer vacation,” takes me straight back to my youth. The phrase still carries connotations of the two months between school ending and school beginning. It’s been forty-nine years since I experienced the last of those summer vacations. Since then, it has more properly meant the activities I undertook for a week or two or three during the summer when I was not working. So few years of the first variety of summer vacation, so many of the second; and yet it is the former that still resonates. Perhaps it’s because those dozen years of summer vacations shaped much of my life in ways that only became clear from a distance. My love of long road trips was likely founded in the month-long trip I took with the Boy Scouts between ninth and tenth grades. We traveled from the Rochester, NY area to the Philmont Scout Ranch in New Mexico, meandering through the northern states. I first experienced the Great Plains and caught my first sights of the Rockies; I realized how big our country really is and how varied its topography and history. 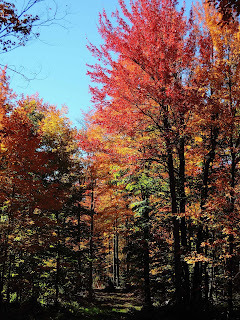 My yearning for inland lakes in north woods was certainly steeped from the experiences at our family cabin in Ontario’s “Cottage District” and the two weeks each summer I spent for a half-dozen years at Massawepie Boy Scout Camp in the Adirondack mountains. My desire to walk the land to understand events that occurred on it may have sprung from visiting Gettysburg. My parents allowed me to run the same route Confederate soldiers under the command of General Pickett charged in July 1863. 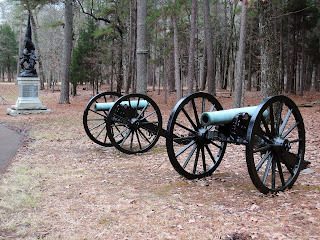 I faced only distance and heat; they also faced cannon and musket fire so strong it leveled wheat fields and peach orchards. 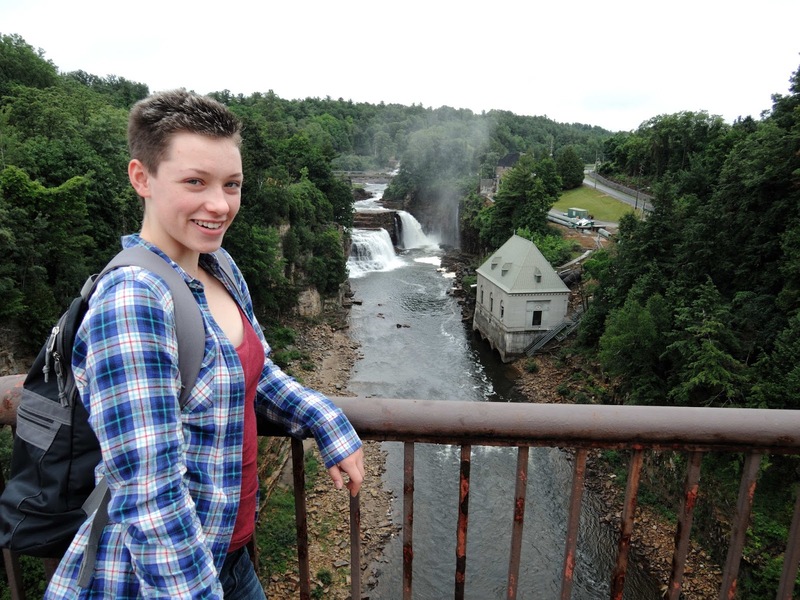 This year, Jan and I took one of our grandchildren on a two-week road trip during her summer vacation. It’s her first long road trip, and we’ve mixed a bit of everything: foreign country (albeit Canada, but Quebec is French-speaking), cities and country, land and sea, touristy kitsch and off-the-beaten track rambles. I wonder what seeds we planted. How about you? What long-term effects did your summer vacations have on you? Do you remember your dreams? I rarely do. My Dad was a big proponent of dreams. He must have had 100 dream books in his collection. He would pour over the details and nuances of each dream and talk about them as if they were events everyone could see. Me? Not so much. I remember one dream from my childhood. A giant ant stalking the earth waving its antenna over a small child I always thought was me. sure of the date? Easy. I’m wearing my favorite beige safari dress and carrying my brown leather doctor satchel when I confront the ant. The dream disappeared when I caught a Late, Late, Late show presentation of THEM. There was my ant. And most of the story except as reinterpreted by my sleeping mind. I’ll never know. After that dream I made it a point to not remember my dreams. Even if bits or pieces of them stuck with me at waking, I made a grand effort to turn my thoughts elsewhere. Just in case there was something to this prophesy thing. All that has changed and for a very good reason. An Internet friend of mine, Mary Kennedy, writes a delightful series called the Dream Club Mysteries. They are set in Savannah, a wonderful city, and they are cozy mysteries. I confess, the thought of people willingly delving into dreams spooked me sufficiently to keep me away from the series for a couple of years. But I really like Mary’s writing and I follow the Cozy Chicks blog. Finally, I gave in. I read the first book Nightmares Can be Murder. This is a delightful book that introduces the sleuth Taylor Blake and her sister Ali. Ali owns a retro candy shop on a side street in historic Savannah and hosts the Dream Club. Taylor finds Chico, the Latin lothario (and dance instructor), dead in his dance studio located across the street from Ali’s store. Chico has ties to not only most of the Dream Club members, but to much of Savannah. And it seems he has not always been above-board. 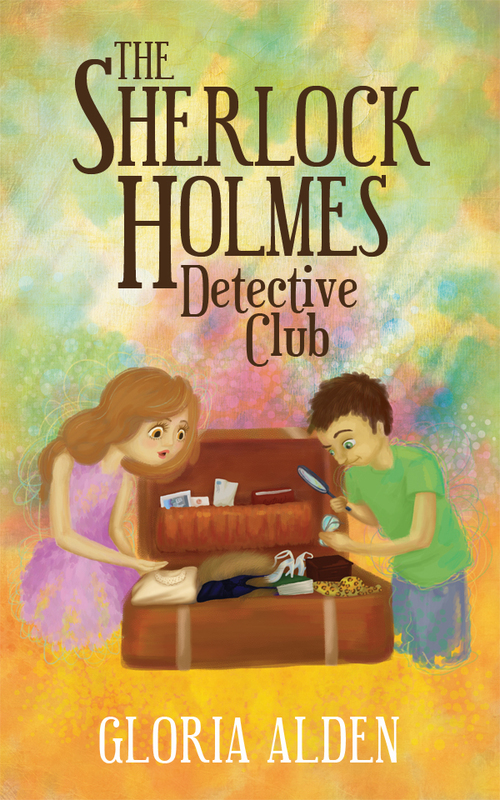 Throughout this mystery the dream club meets and relates snippets of dreams that fill in some detail and clues in the story. I loved it. All of that dream talk got me to thinking. What’s wrong with dreaming? So as one of the book characters recommends, I made an effort to remember my dreams. And low and behold I made a discovery. I do dream. Most of my dreams are harmless, but in them, I’m in my early 30s. My language, dress, body (thank you God), face (see previous comment), everything, is no more than 32. The same age as Hayden Kent, the heroine in my Florida Keys mysteries. I realized that in my mind—not in the face of the lady in the mirror—that is exactly how I think of myself. 32. Funny. Brave. Strong. Adventurous. I’m still all of those things, well, maybe not so physically strong anymore, but emotionally, but I don’t dream my age. In all the weeks I’ve been doing this experiment, I’ve never aged beyond 32. Do you think we have a “set” age? One where we see ourselves the way we want to be (even if it didn’t seem so at the time). How do you see yourself in your dreams? Published in 1958, The April Robin Murders by Craig Rice and Ed McBain is the third in a series of novels. 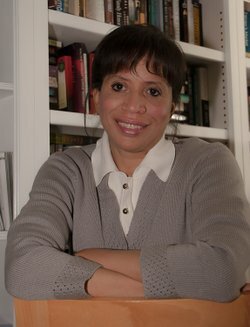 Craig Rice AKA Georgiana Ann Randolph Craig wrote the first two without a co-author. When the book came out Craig Rice was the first author mentioned. Other names she wrote under are Daphne Sanders and Michael Venning. She was also George Sanders’ ghostwriter. Bingo Riggs and Handsome Kusak were street photographers. After some success, in earlier books, they moved to Hollywood to become rich and famous. Bingo was sure something would come along to make that happen before their stash ran out. Handsome trusted his partner, the brains of the duo. Looking for a map to Movie Stars homes, they happen upon a friendly guy who has a sweet deal to offer on an empty, spooky mansion once owned by silent movie great April Robbins. They can’t resist the offer. Later they also take a lease on office property along sunset strip. Along the way they meet other nice people. Some have been accused of murder. Some seem to actually be murderers since bodies start to pile up along the way. With Bingos schemes and Handsome’s photographic memory, they stumble along toward a happy ending. This is a fun read, sort of a madcap comedy that could be made into a movie as four of her novels were. Of course, she also wrote scripts, plays and short stories. For light entertainment and amusement this is well worth your time. Published in 1958, The April Robin Murders by Craig Rice and Ed McBain is the third in a series of novels. Craig Rice AKA Georgiana Ann Randolph Craig wrote the first two without a co-author. When the book came out Craig Rice was the first author mentioned. Later Ed McBain became famous on his own.Other names the author wrote under are Daphne Sanders and Michael Venning. She was also George Sanders’ ghostwriter. Copies of her books I own on my piano. Last week for several nights I stayed awake late because I couldn’t stop reading Hank Phillippi Ryan’s latest book, What You See. I’m a big fan of her books, and each one seems to get better and better. But then that happens in those series in which one gets attached to the main characters. I bought this book at Malice Domestic along with far more books than I could read anytime soon. In addition to ones I bought, there were the free ones in our Malice bags. When I got home from Malice, I had a lot of catching up to do with gardening, writing, family events and other things that needed taken care of. I also belong to two book clubs, and those books need to be read first. Since I bought the hardcover version of What You See, I couldn’t take it with me on my camping trip to the Catskills in June, again delaying its reading. “Jane Ryland’s sister is about to be married, but disaster threatens the wedding when the groom’s daughter goes missing. The flower girl, nine-year-old Gracie, has disappeared, along with her stepdad, Lewis. By all accounts, he’s a wonderful father, and Gracie’s mother doesn’t seem too concerned, but . . . why won’t Lewis bring her home? Where is Gracie? And is the little girl in danger? Soon Jane discovers there’s a limit to the bonds of family, and learns to her peril what happens when loved ones are pushed too far. Meanwhile, Detective Jake Brogan’s handling a doozy of a case. At Boston’s historic Faneuil Hall, a man is stabbed to death in front of a crowd of tourists who’ve snapped photos of the murder on their cell phones. Solving the case should be a slam dunk, but the pictures and surveillance video lead Jake to a twisted conspiracy of extortion and stolen lives. Not only does Hank Phillippi Ryan write stories that hook the reader, but because she writes about what she knows, it becomes real to the readers. 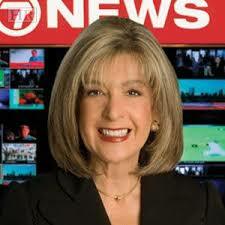 Jane Ryland is a temporarily unemployed reporter – both TV and newspaper. Hank is the investigative reporter for Boston’s NBC affiliate and has won thirty-three Emmy Awards, and thirteen Edward R. Murrow Awards for her groundbreaking journalism, as well as a lot of awards for her fiction. It’s no wonder that the reader can believe in Jane Ryland. In fact I picture Jane as looking and talking like Hank. The fact that her books take place in Boston, where she has lived and worked for many years, makes her books even more believable. Finally, what really appeals to me is she writes in multiple points of view. In this book she has five POVs, with one becoming a victim. The conversations and descriptions of other characters make them seem real to the reader even if their POV isn’t there. And, of course, she always ends making the reader want to immediately read the next book. I hope Hank’s next one will be published soon. For those of you who have never met Hank, she is the most amazing person. She is not only extremely talented, she has been totally involved with Sisters in Crime and was a past president of SinC, and still is one of the Guppies. 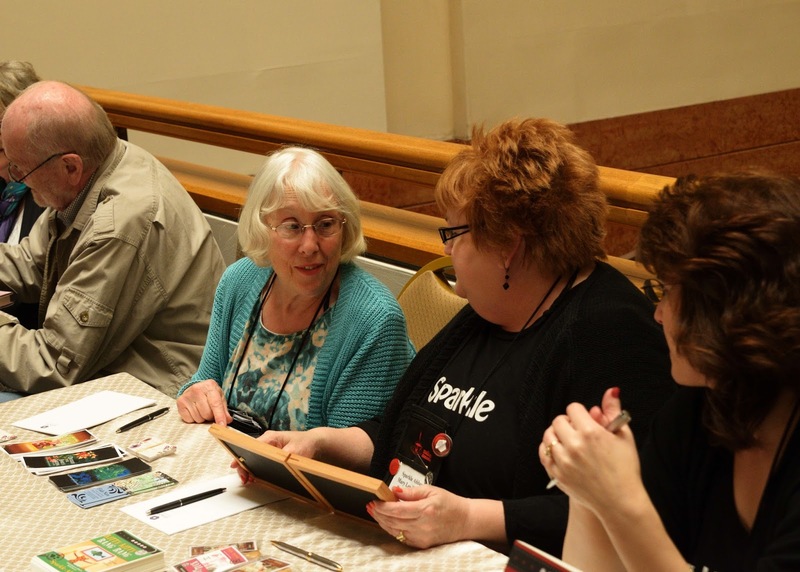 She is a founding teacher at Mystery Writers of America University, and appears at writing events all over. She manages all this while maintaining her job as an investigative reporter. I should mention she’s also drop dead gorgeous, very friendly and open with others, and has a great sense of humor. What amazes me the most though, is I’m not a very important person being an indie writer with no awards and nothing that makes me stand out, and yet she always greets me by name when she sees me at conferences or the few writing events we’ve both attended. Can you imagine having a memory like that? 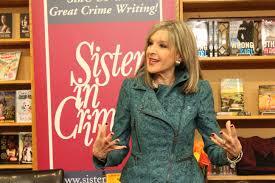 Have you read any of Hank Phillippi Ryan’s books? Have you had the good fortune of meeting her?